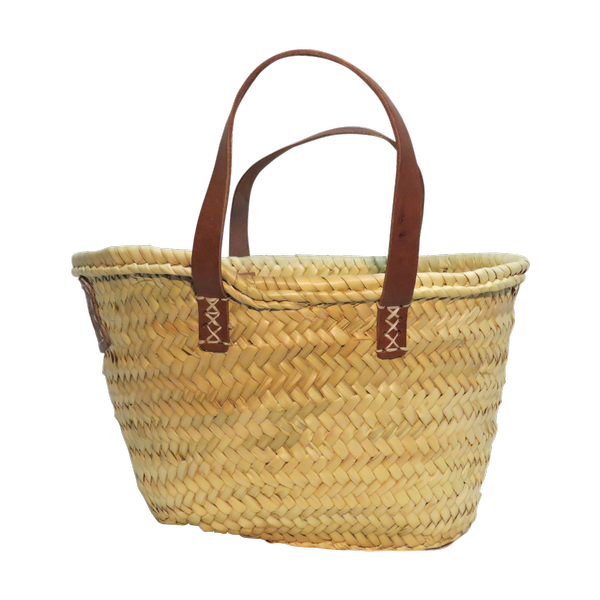 Very Small oval French handwoven basket with short (40cm) flat natural leather handles. Ideal as a children's basket or hamper basket. Also great for quick trip to the grocer, beach or market. Useful as a home storage basket too. Like a straw basket but made from palm leaves so sustainable and very strong.